The divorce process can be intimidating, but this field guide will help you understand the various steps involved in a Divorce. It will also help you to know what to expect as the process moves along. There is some confusion about the divorce process, largely perpetuated by movies and television. “I’ll see you in court!” and “I’ll take every penny you have!” make for dramatic dialogue on screen, but that’s not how the process works. A court is the only body that can grant a divorce. An application must be made to the court to obtain a divorce order. A court will only grant the divorce after the parties have been living “separate and apart” after one year. Often people begin by attempting to negotiate a settlement between the spouses. But, when negotiations fail or are inappropriate because of the circumstances of the couple due to family violence, assault, or abuse of the children, it may become necessary to go to court. Options to avoid court are discussed in Section 5 of this guide. Divorce in Canada is “no-fault,” which means among other things, that you can get a Divorce without blaming yourself or your spouse for ending the relationship. Instead, your grounds for divorce can be that you and your spouse have lived “separate and apart” for one year. Under special circumstances, a court will grant a divorce where the couple has not been separated for one year. 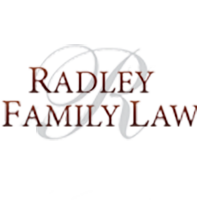 The two special circumstances where a divorce may be granted before a year passes are adultery and cruelty, if either or both grounds can be proven to a judge’s satisfaction. Other assets such as pensions, RRSPs and TFSAs. There may be other issues that will have to be dealt with as part of the process, and a court may be asked to rule on some of these other issues. Moreover, in most cases, a court will only grant a divorce if it is satisfied that proper arrangements have been made for the care and support of the children.